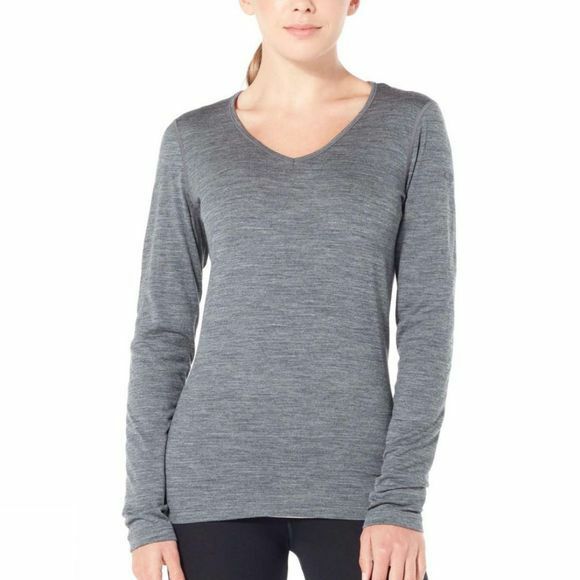 The Womens 200 Oasis LS V Top from Icebreaker is a reliable go-to layer for everyday comfort and active days outside. 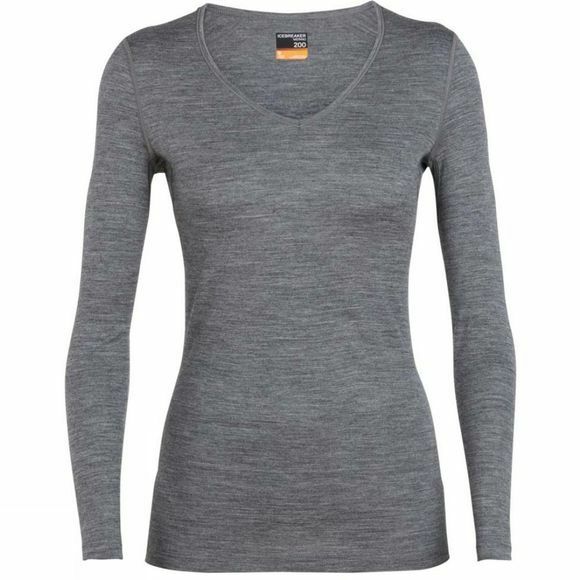 It also feature a technically capable yet flattering V-neck silhouette with the benefits of 100% merino wool. Made with our most versatile merino jersey fabric, the Oasis provides super-soft, next-to-skin comfort, incredible breathability and natural odor resistance. The updated design features underarm gussets and set-in sleeves for added mobility, and offset shoulder seams and flatlock stitching throughout prevent chafing across the spectrum of daily motion.